From buying and selling property, to strata disputes and commercial property leasing, we’ll guide you through the whole process and help to protect your assets. Buying and selling properties are some of the most important transactions people make throughout their lives and we’re acutely aware that it can be a challenging and stressful experience. With our expert legal assistance this need not be so. Similarly, almost every business, large or small, will enter into a lease for some type of commercial space every few years. As commercial leasing has little standard documentation expert guidance is crucial. Whether you’re the landlord or tenant we can guide you through the whole procedure of leasing space, from start to finish. 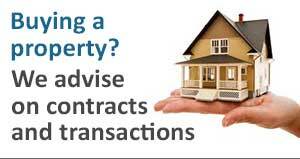 We act for developers and purchasers with contracts “off the plan”.